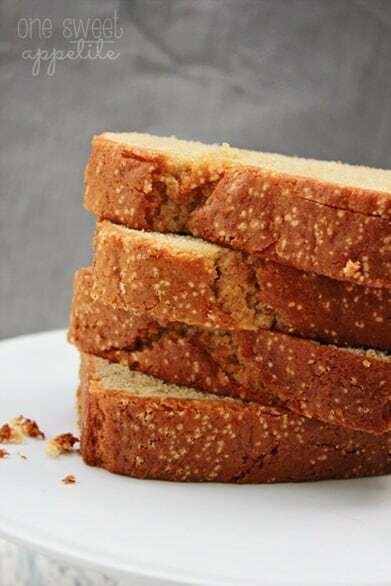 This pound cake recipe is probably one of my new all time favorites. It is so fragrant and mouth watering. I have a sneaking suspicion it has something to do with the quality of vanilla I used. You see, I went to a conference last month that changed my world when it comes to using quality products in baking. I always thought I could skimp and save a few dollars and buy the off brand version of everything… That is still true to some extent, but where the vanilla is the prominent flavor of this dish I decided I better break out the good stuff. What do I mean by good stuff?? Glad you asked! Let’s break down the difference between imitation vanilla and pure vanilla extract. This vanilla is made mostly from artificial flavorings. It can have a slightly bitter aftertaste and you need to use almost double to achieve a real vanilla flavor. Vanilla beans + Alcohol. That’s it. The longer it sits, the better the taste. And really, you should use a more quality liquor. Obviously I think it’s worth it to either spend the extra few dollars and grab pure vanilla extract or you can make your own. If you google homemade vanilla you will get hundreds of sites eager to teach you this super simple method. They even make cute Christmas gifts. Enough blabbing. Let’s get to the good stuff… the recipe! This vanilla pound cake is DIVINE. A little dense and melt in your mouth delicious. So let’s dive right in! The bread on it’s own was out of this world but I decided to take it to a new level and make a vanilla custard to dip pieces of this sweet little cake into. The crème anglaise paired with vanilla pound cake was a match made in heaven. I really loved that I can make both of these the day before I intend to serve them, which makes this the perfect dessert to serve around the holiday’s! 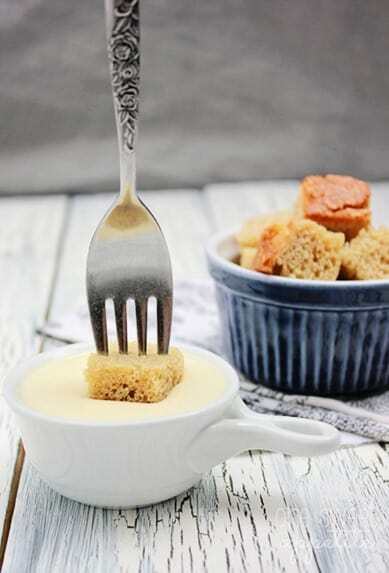 You can find the crème anglaise recipe today over on Whipperberry! Make sure you tell her hi and that I sent you! Preheat your oven to 350 degrees. Lightly spray a loaf pan with non-stick spray and set aside. In a medium bowl, whisk together the coffee, flour, baking powder, baking soda, and the salt. Set aside. Cream together the butter and the sugar until nice and fluffy. Add in you eggs, vanilla, and sour cream. Mix until combined. Slowly stir in the dry ingredients until fully incorporated. Pour into your pan and bake for 45 minutes, or until a toothpick comes out clean. Dang girl! It’s probably good I don’t live at your house or I would weigh a lot more 🙂 This looks delicious and thanks for sharing it! I kind of have this longing to make French Toast out of this. It looks amazing! 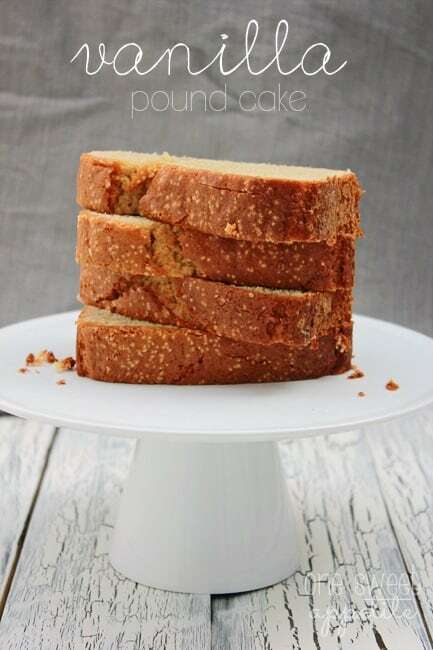 Pound cake is a favorite of mine but I have never tried making it – this looks so good and somethign I could make! Pinned – yum! Oh, I’m definitely trying this out soon! Looks delish! Pinned. I love pound cake! This sounds delicious! PINNING! We don’t find French vainilla coffe in Spain…, do you think can I substitute it with another ingredient? Here is a more detailed description of the measurements. I will start adjusting the way I list things from now on. You can leave out the coffee and just add an extra tablespoon of pure vanilla. Make sure it isn’t imitation. I promise you I’ll make this cake tomorrow! I love that you’ve used french vanilla coffee in it, I can imagine it tastes divine.